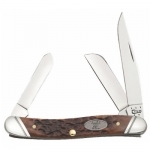 Townsend Shopping Center carries the entire Brown Bone family. 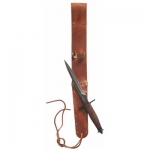 The V-42 with Sheath is available NOW at Townsend Shopping Center! 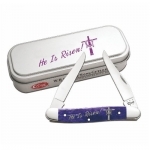 Celebrate Easter with a new 2015 "He Is Risen" Muskrat Knife! 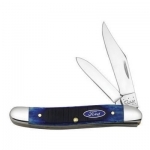 Only 350 made available! 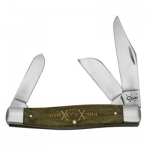 Support two great American companies dedicated to quality workmanship when you add one of the outstanding John Deere pieces to your collection. 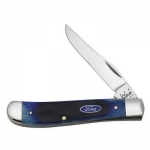 In 1903, Henry Ford started the Ford Motor Company, and changed how the world moves. 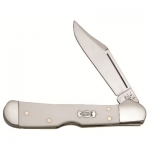 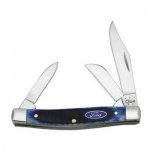 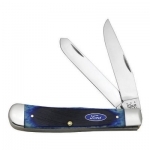 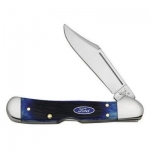 Case celebrates the legacy of this company with an introductory family of pocket knives and themed collectibles, each carefully crafted but built to be tough- just for Ford enthusiasts. 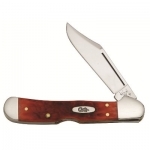 The richness of our Dark Red Bone handles and the Case Oval Script shield make these knives hard to resist. 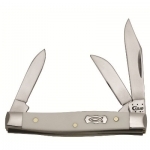 Case chrome vanadium blades are known for their edge-holding ability and easy resharpening. 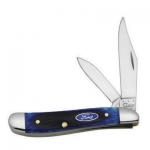 We recommend keeping a thin film of oil on the blade to maintain the finish. 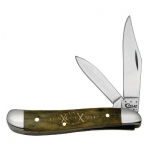 The Ichthus white synthetic handled collection of knives derives its name from the classic Greek word for “fish,” which is also an early Christian symbol that’s appeared throughout history. 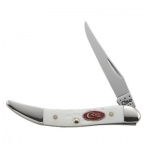 The Sparxx™ family of knives features Case Red Oval shields that really sparkle alongside Standard Jigged White Synthetic handles. 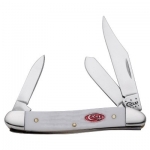 The sparkling white Synthetic handle is the perfect counterpart to the vibrant red Case Logo shield. 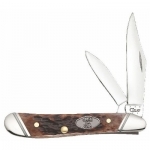 Stop by Townsend Shopping Center for this Case Circular Exclusive! 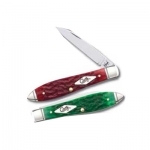 Quantities are limited on our Bright Green/Dark Red Bone Magician's Tear Drop knife! 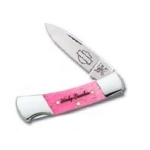 Just in time for the holidays. 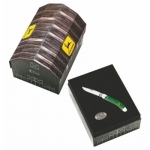 This set is limited to only 250 sets! 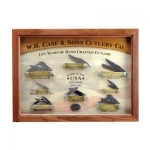 Perfect to display 125 years of hand crafted cutlery from W.R. Case & Sons! 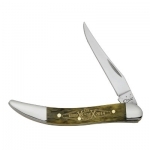 This 125th Anniversary Smooth Olive Bone- Small Texas Toothpick knife features a Long Clip blade with a closed length of 3-inches. 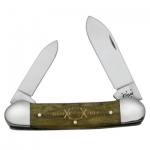 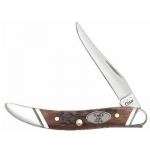 This Case 125th Anniversary Smooth Olive Bone- Peanut knife features Clip and Pen blades with a closed length of 2 7/8"
This Case 125th Anniversary Smooth Olive Bone- Canoe knife has a spear and pen blade with a closed length of 3 5/8"
This 125th Anniversary Smooth Olive Bone- Large Stockman knife has clip, sheepfoot and spey blades with a closed length of 4 1/4"